This beloved space of mine has been vacant for quite some time. This is mostly due to the fact that I’m a stay-at-home mom of toddlers and right now my time is very much not my own. Add a couple bugs and an ear infection that made their rounds through the house and another baby on the way and you’ve got yourself an MIA writer. The news is true! And we're talking baby human here, not baby dog (but stay tuned for that ;) ). I'm nearing 10 weeks, and this is the longest time I’ve waited to announce we’re expecting. (I know, so long right?) For a reason that I couldn’t quite pin down, this pregnancy seemed a little more fragile, and I wanted to make sure all was looking okay before the world and our kids knew—mostly to protect our kids. It’s been a challenge to keep it secret. I found out right away, and was already without an appetite, dry heaving, and nauseous at 4 weeks and a few days. Once that First Response stick gave me a big fat "positive" I knew I had my work cut out for me. This is my first pregnancy where I've been on an antidepressant and blood thinners (yes, that torn meniscus drama is still with me), for that matter. Some antidepressants are okay to take during pregnancy, others are not, and I am taking one that falls in the "not advised" category. So barely into week 5 of my pregnancy, I cut my dosage in half and began working through withdrawal symptoms and learning how to cope with any physical symptoms of anxiety that were thrown at me. This process made the pregnancy feel very real early on—this momma has been working for the tiny thing's good health since it was the size of a grain of sand! We're excited. Mostly because Ella has been asking for a sister. 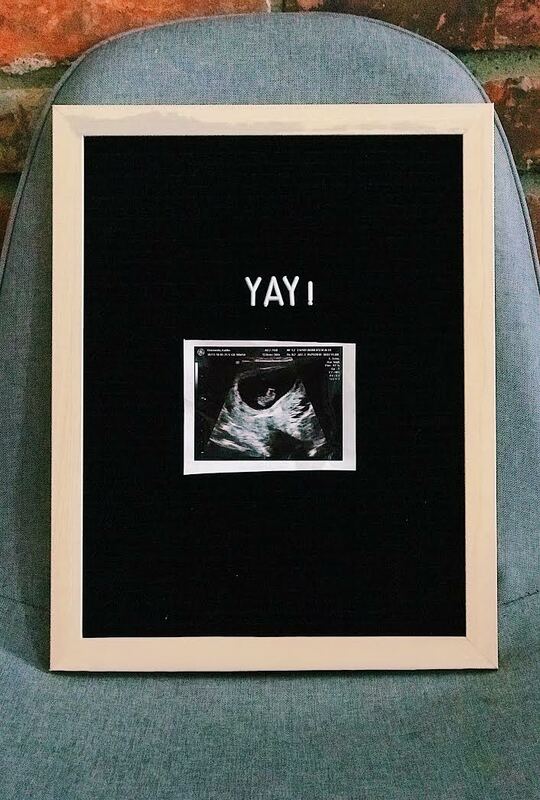 Hopefully she'll be just as excited for a boy, but between you and me, I doubt it. So personally, I'm pulling for a girl just so Ella can stop pointing at total strangers in the mall saying, "she's my sister." But of course we'll love him/her no matter what, blah, blah, blah. I'm also excited because by the third pregnancy the Mom Confidence shoots through the roof, and you get the I-couldn't-care-less-if-you-think-I-should-breastfeed-or-not mindset, which is freeing since I dealt with some mom guilt during my first pregnancy and battled some demons during my first postpartum months. I'm also excited because this is the first time I'll be pregnant in Michigan and that's a big deal for me. One of the main reasons why I suffered from antenatal depression in my previous pregnancies was because I was isolated. It's because we're in Michigan that I'm okay to wean off my antidepressant and not replace it for the time being, so thanks, support system! I'm also nervous—nervous because I'm over 30 pounds heavier than I was when I first pregnant with Ella and that freaks.me.out and makes me a little self-conscious to be pregnant. There is something else I'm nervous for about being pregnant around so many more people than I'm used to, and that's I'm a b***h of a pregnant woman. I just am. I try to offer it up, I try to suffer in silence, I really do. And I'm near flawless at that when it comes to the labor and delivery part, but pregnancy? I don't glow—I rage. I complain, I get mad at Tim if he even suggests I shouldn't satisfy a craving and I want to respond to even a compliment with, "I'll cut you". So I'm publicly apologizing to everyone I know and in advance. Don't hold anything I say in the next 9 months against me. I'm growing a cute little human that you will soon be able to gawk over. So, you're welcome.